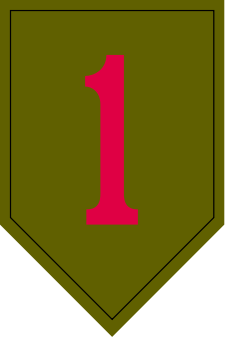 The First Infantry Division of the United States Army is one of the proudest units in that service. 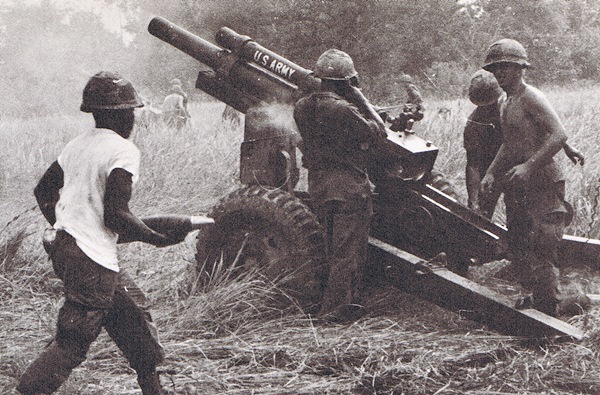 During the Vietnam War the “Big Red 1” saw 6,146 of its soldiers die in combat, a figure that exceeds the total US forces losses in the recently completed Iraq War. 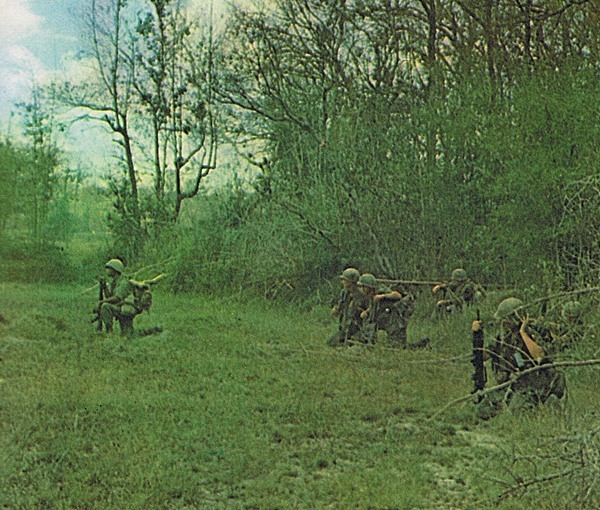 Look inside for combat photos of the First Division in the Vietnam War. Some of these photos may never have been published on the web before. 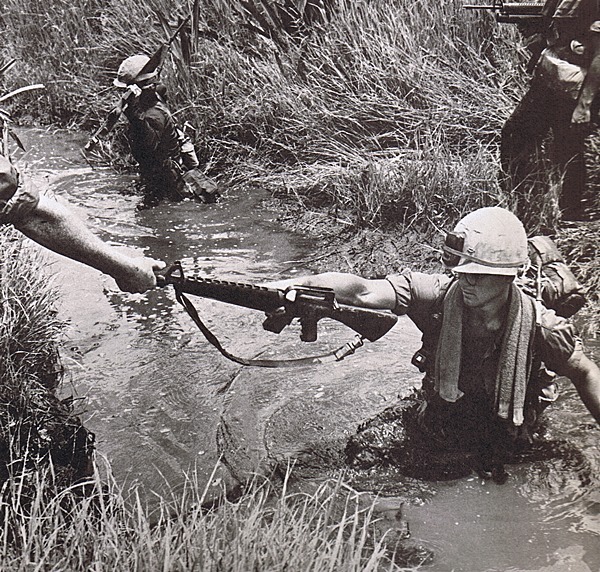 These photos were taken during the 1965-1967 time period. 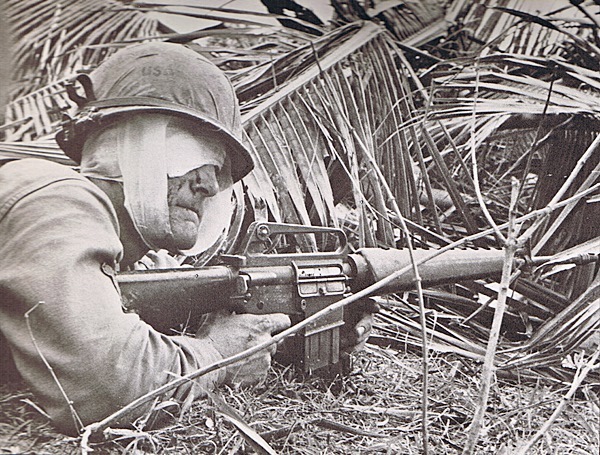 A wounded First Infantry Division solder keeps watch during the Vietnam War. Courtesy of First Infantry Division. 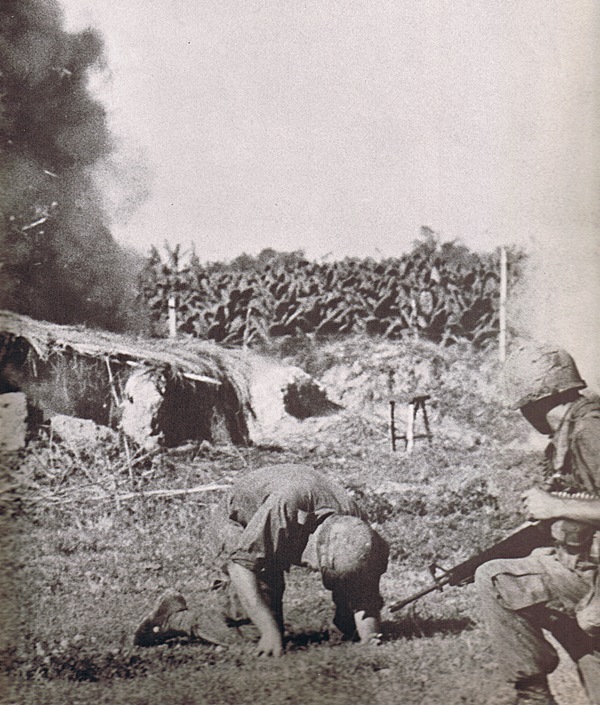 First Infantry Division soldiers take cover from an explosion during the Vietnam War. 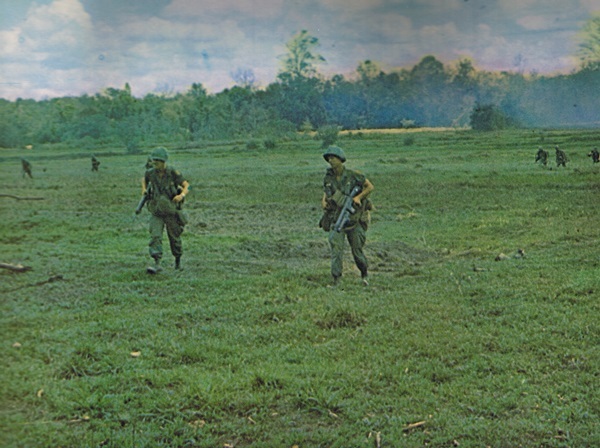 Photo Courtesy of First Infantry Division. 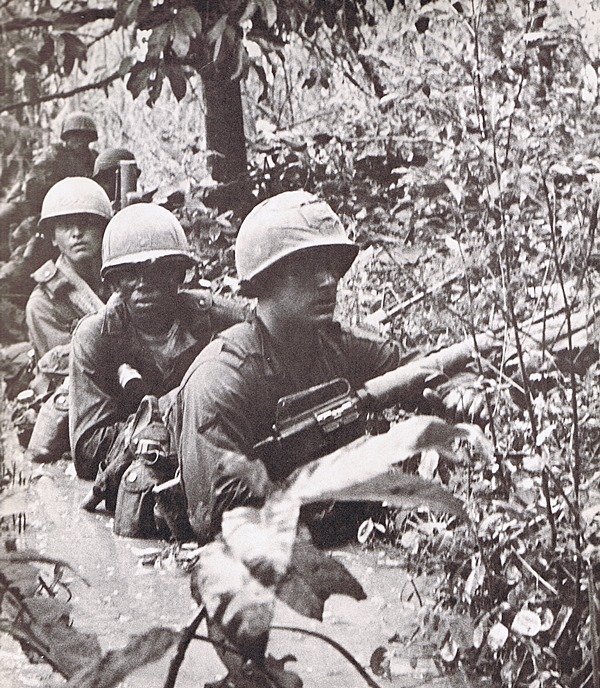 Related: Video of 1st Infantry Division in Vietnam, 1966.